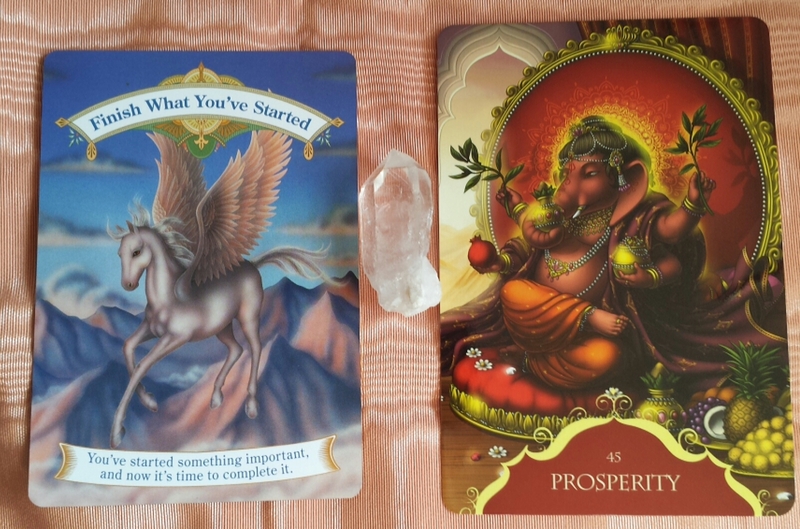 Today I felt the impulse to pull some oracle cards to give us some positive intuitive energy & guidance. I used the “Magical Unicorns” and the “Ganesha” decks. It’s all about Prosperity & getting up and taking action. This entry was posted in Abundance, Inspirational, Motivational, Oracle/Colour/Angel card readings, Positive Affirmations, Spiritual and tagged blog a week, blog of the day, boho lifestyle, divination, guidance, health, intuition, lifestyle, mind body and spirit, oracle card readings, oracle cards, self confidence, spiritual, stefsvoice4u. Bookmark the permalink.